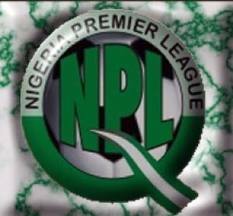 The Nigeria Premier League (NPL) has summoned two clubs, Dolphins and Kano Pillars over claims of using terror threat by the latter. Dolphins had recently claimed that an official of Kano Pillars, Kabiru Baleria had threaten to use the deadly sect, Boko Haram against the Nigerian champions when they visit Kano later this season. The alleged threat from Baleria came after Kano Pillars lost 0-1 to Dolphins at the Liberation Stadium in Port Harcourt. The NPL has written to Dolphins to appear before it on Tuesday in Abuja following a petition from the Port Harcourt-based club over the matter. According to reports, the spokesman of Dolphins, China Acheru will also appear before the NPL on Tuesday for issuing a press release on the alleged threat from Baleria, who is also expected to face the league arbiter. But Dolphins have expressed dissatisfaction on being summoned by the Premier League over the development. “I’m very surprised that the NPL invited Dolphins. Somebody threatened us and we reported to them so we expect them as a neutral body to call Kano Pillars to order and give them strict warning and monitor the return leg strictly. “Now why are they calling us to a panel? I think it’s uncalled for and not to the right direction,” Dolphins' manager, Stanley Eguma said. Eguma however added that no matter the decision of the NPL they will still honour the game in Kano because they are not afraid. Dolphins had named three Port Harcourt-based journalists, Carl Orakwue, Nduka Orjonmo and Florence Israel as witnesses to Baleria's threat.